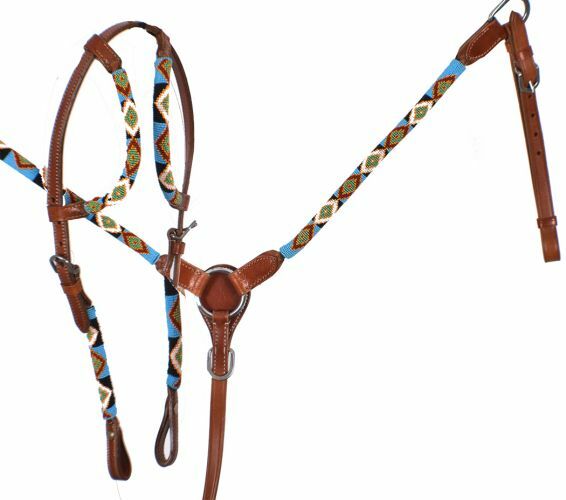 Showman® Multi Colored round beaded overlay headstall and breast collar set. 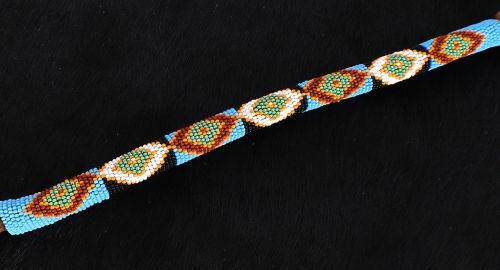 This set features medium oil leather with multi colored beaded overlay. Includes stainless steel hardware. Set comes with double ear headstall and breastcollar.